Ever run into a situation where the concrete truck was bigger than your entire building? Yeah … neither had we. 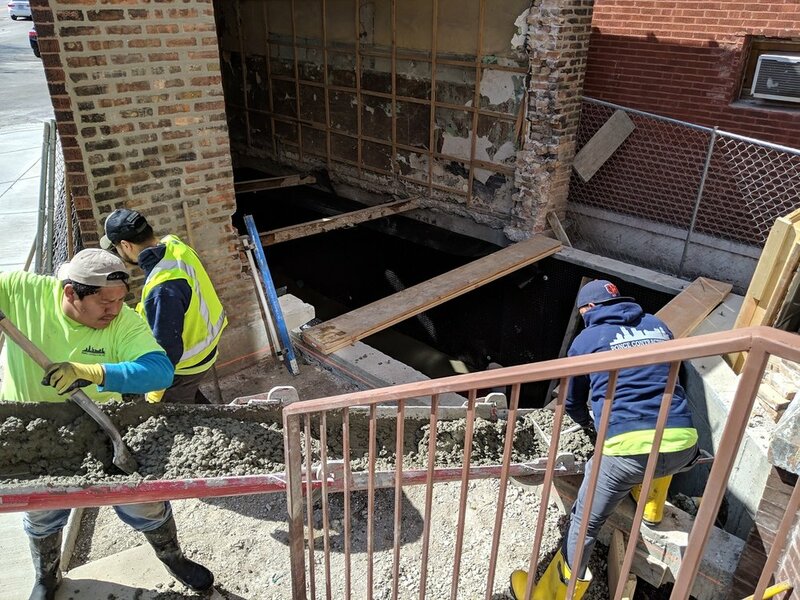 Underground plumbing wrapped-up at the end of last week, followed by installation of a radiant heat system that will run beneath the floor and keep the lower level nice & cozy without the need for traditional HVAC. 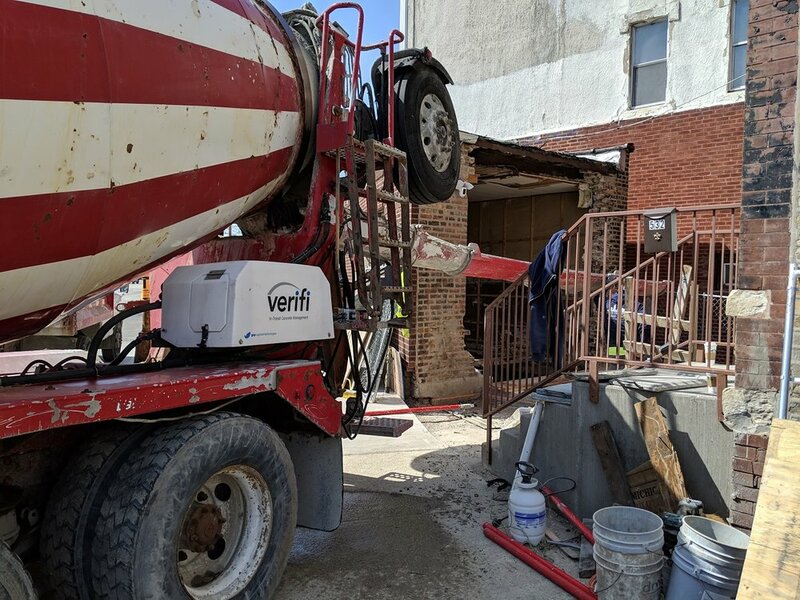 When the mobile mixer truck from Ozinga showed up to deliver our concrete, it dwarfed the tiny house itself. Honestly, the pictures don’t even do it justice. Passing traffic must have thought this was all a big joke, as the truck carefully backed into position between the 3-flat and the tiny house. It was hands-down the quickest that we have ever witnessed a full floor poured in place.